There are people who are hurting and would benefit from one-to-one Christ-centered care – many more people than pastors alone can care for. There are laypeople with the gifts and potential to provide care – if they are trained and empowered to do so. Stephen Ministry brings these two groups of people together in a powerful way. While Clergy are usually on the front lines of providing pastoral care, Stephen Ministers walk alongside people after a crisis: after a funeral, the loss of a job, the cancer diagnosis, etc. It is during these “after periods” in life that many people really struggle and when Stephen Ministry can be especially valuable. Stephen Ministers are provided with training and support to serve this important role. 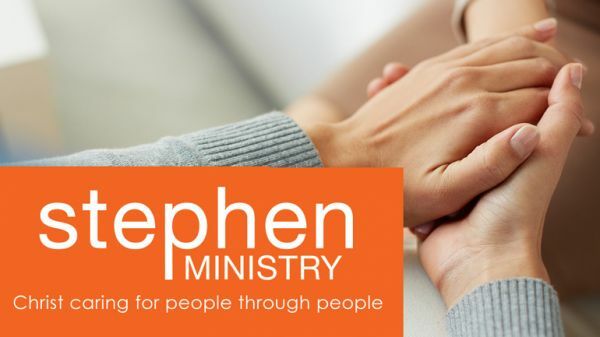 Click here to read more about what Stephen Ministers do. What is happening at Redeemer? We believe God has called Church of the Redeemer to bring Stephen Ministry to our congregation. 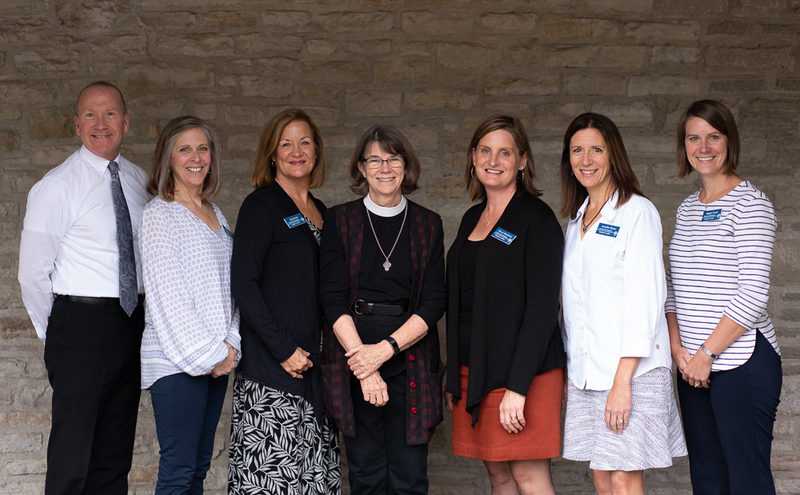 In response, this past summer, six individuals from Redeemer completed training to be Stephen Ministry Leaders (women shown below left to right): Kelli Wisecup, Nip Becker, Joyce Keeshin, Becca Morehous, Jen Strom, and Maggie Gough. Carter Waide (far left in photo) had already received leadership training and will serve as part of the leaders team. These leaders will provide the extensive training and on-going support of Redeemer’s future Stephen Ministers. The team is supported by Redeemer staff, Becca Morehous, Health & Wellness Ministry and Rev. Joyce Keeshin, Associate for Pastoral Care. How might you discern a call to become a Stephen Minister? This fall we are beginning the discernment process for our first Stephen Ministry training programs. We are looking for individuals who feel called to serve in a confidential one-on-one ministry of being present, listening and walking with someone through a difficult time. The discernment process includes completion of a Stephen Ministry Application, a conversation with ministry leaders, and especially prayer. We would like to receive applications by October 31, 2018. Click here to read more about the Stephen Minister's spiritual gifts. Preparation for this ministry requires participation in fifty hours of Stephen Ministry Training, completion of Safe Church Training, and faithful participation in on-going peer supervision. The first training series will run from January 9 – May 19, 2019. Classes will be held weekly, primarily on Wednesday evenings 6:30 – 9:00. A second training series is planned to begin August, 2019. If you have any questions, please contact Becca Morehous, Health and Wellness Minister or the Rev. Joyce Keeshin, Associate for Pastoral Care. What spiritual gifts will be of most value to a Stephen Minister? A defined cluster of activities make up a Stephen Minister's job description. Stephen Ministers pray daily for their care receivers and strive to worship God always in word and deed. They reveal the love of God to those who most need to see it.